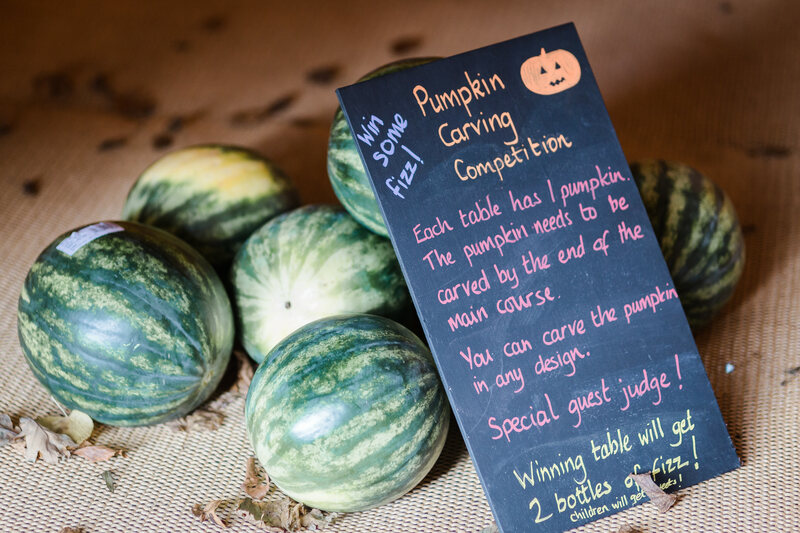 The date is set, the venue is booked and now you’re probably thinking about how you’re going to entertain your friends and family on your wedding day. It might sound silly suggesting that you need to entertain people, after all you’re already feeding and watering them for the day and there’s likely going to be loads of old faces for people to catch up with, but there are inevitably some quieter points in the day, and times when you’re not going to be as present and that time can really be enhanced with some optional activities for your guests to get involved with… And from a photographer’s perspective, these can make for some incredible photo opportunities too. 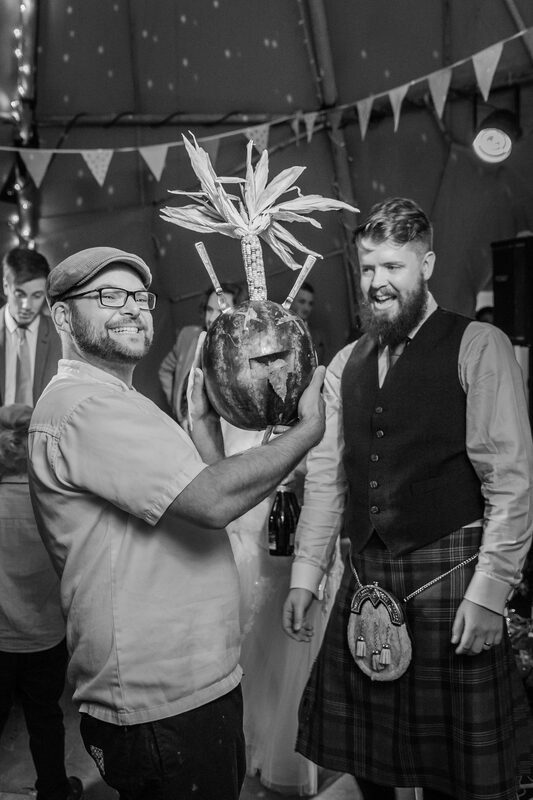 So, in the pursuit of the holy grail of alternative wedding entertainment ideas, I’ve turned to my friends in the photography community to give you a round up of some super fun stuff that is a little more out of the ordinary but sure to make your day fun and memorable for all. 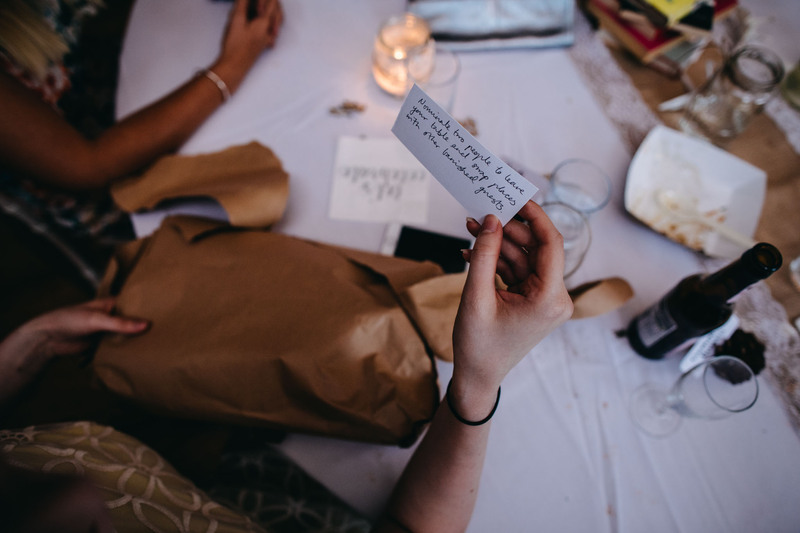 After dinner, Vanessa and Josh encouraged all their guests to remain seated. Each table was presented with a parcel, and within each layer of the parcels were activities, forfeits, funky sunglasses and animal masks. People were swapping tables, pretending to be in love with strangers, trying to organise themselves into alphabetical order without talking and the whole thing culminated in a giant conga line (I’m not entirely sure how!) It was such good fun and a really nice way of filling some time between dinner and the evening entertainment starting. 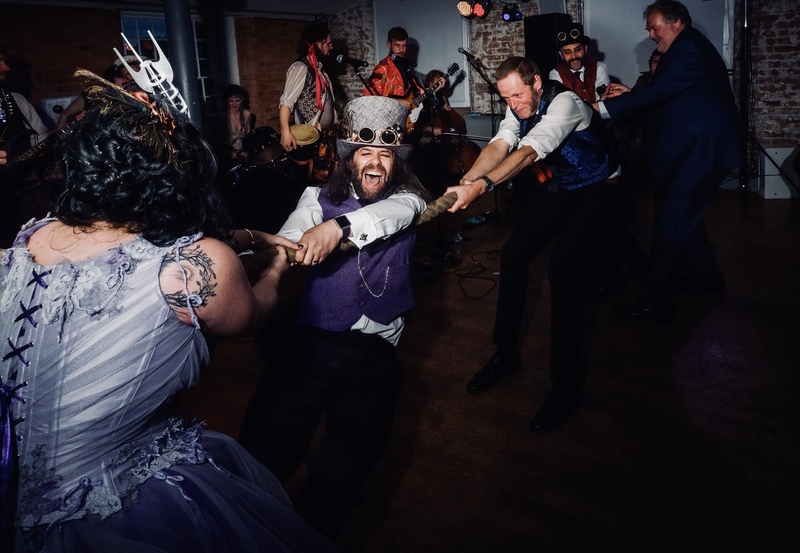 A steam punk wedding with a pirate band was not unique enough so we had a very competitive tug of war… I mean who needs a first dance when you can sweat it out straining on a big rope. 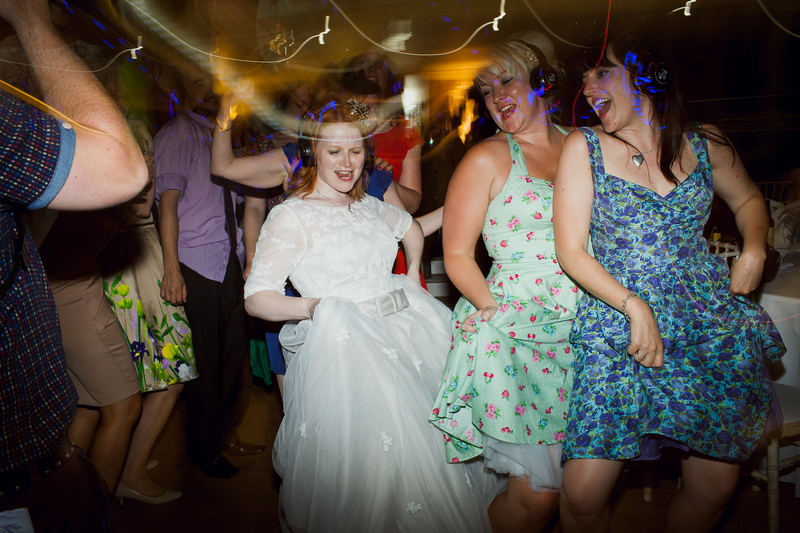 The tug was so hotly contested there had to be a best of three… Obviously the bride won! This was shot at Christine and Wayne’s wedding at Bolton School in Lancashire. 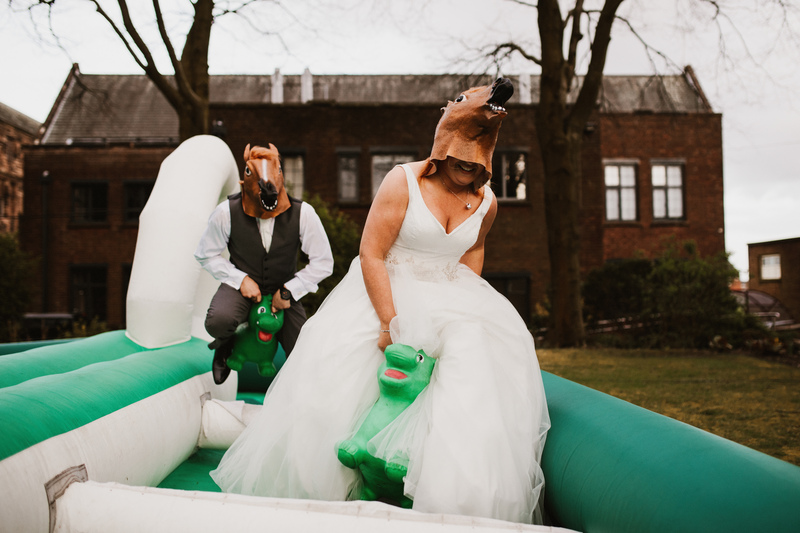 Such a fun wedding and how could it not be with a huge inflatable Grand National for the bride and groom to have a race on. 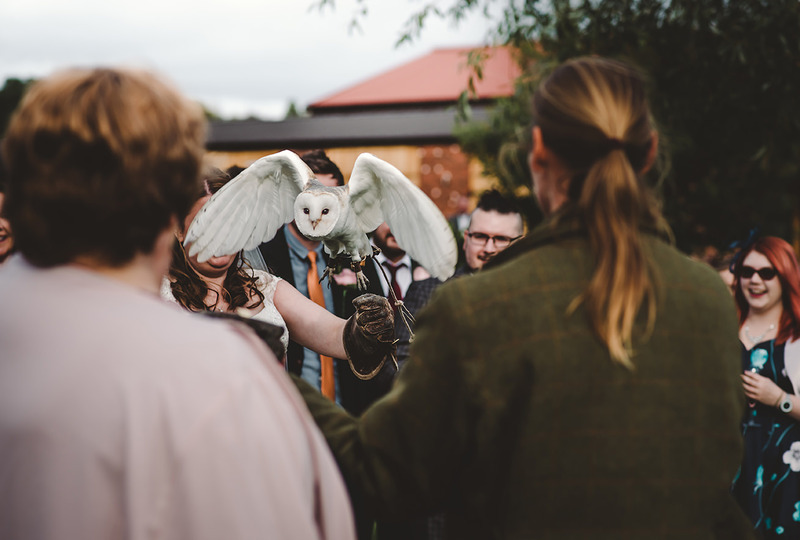 I think animal heads should be made compulsory at weddings for the next 5 years. 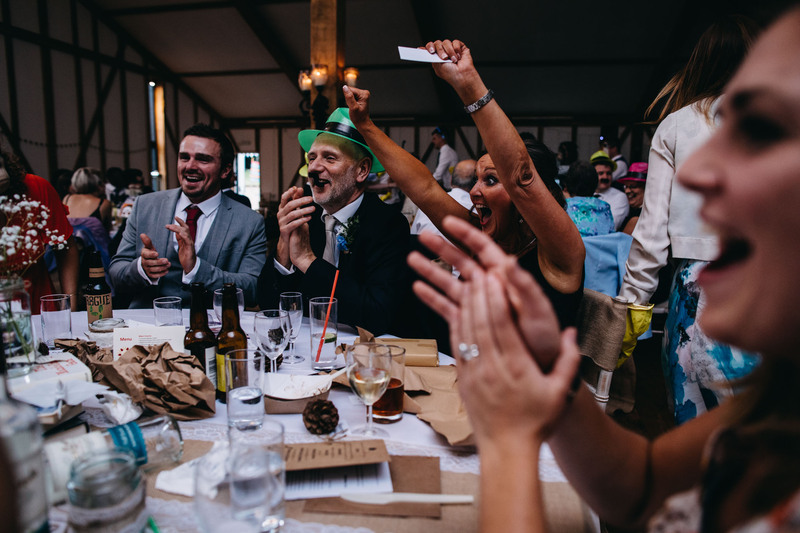 A silent disco is probably the best thing we have ever seen at a wedding. EVERYONE gets involved from the young to the old. You can listen to your own channel, sing like no one is listening and dance with friends and family who all have a different taste in music. If you take those earphones oooossshhhh some interesting voices! 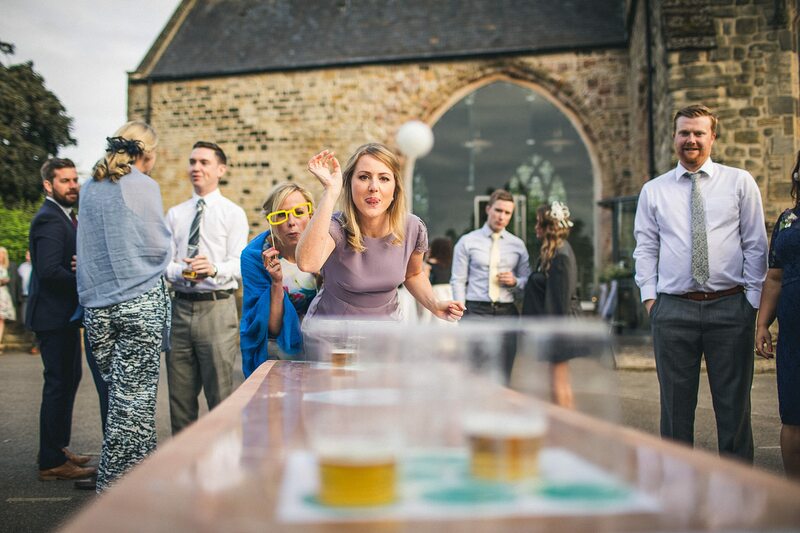 The couple set up beer pong for the guests in the hope of getting them outside should the weather play ball. It certainly did with glorious sunshine, the guests embraced the idea and it created a whole load of hilarity and banter. As the day wore on and the drinks flowed the games started to get a lot more competitive (army boys) but always in good spirits. It was a great way of getting people outside and involved. I think a few new friendships were formed, and probably a few long term ones broken!! I’m adding this one in cautiously because, like anything I guess there’s a real range of magicians out there. Good ones are AMAZING, bad ones are tedious. 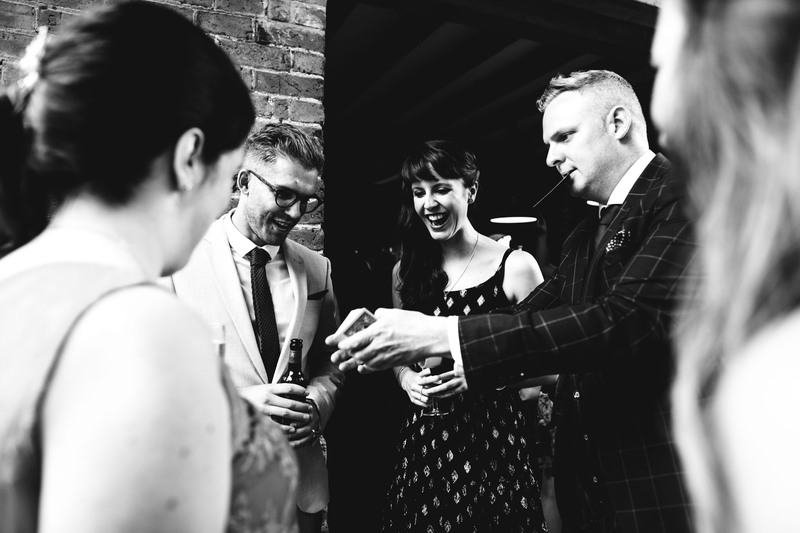 Here’s The Trixta at work at Paul and Kim’s wedding at Shustoke Farm Barns last year – he’s a killer of a magician, highly recommended by me! How about your rings arriving by air? 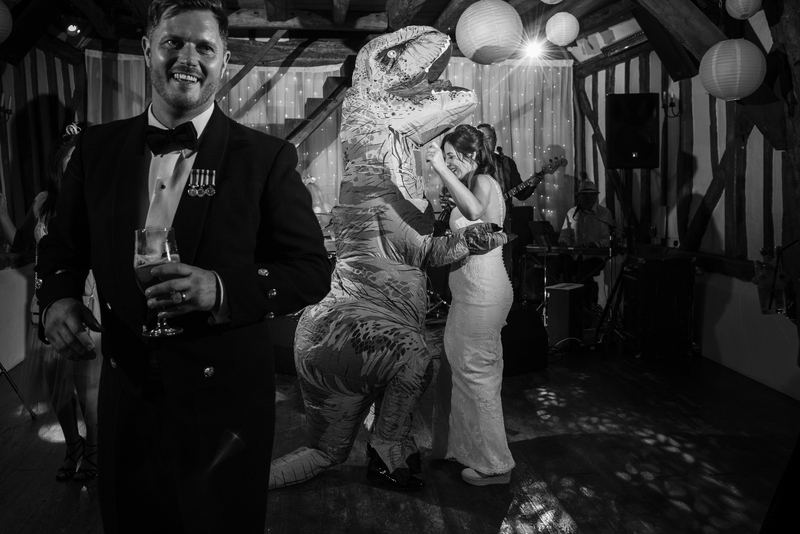 Maybe welcome a giant inflatable t-rex to tear up the dance floor with you!? 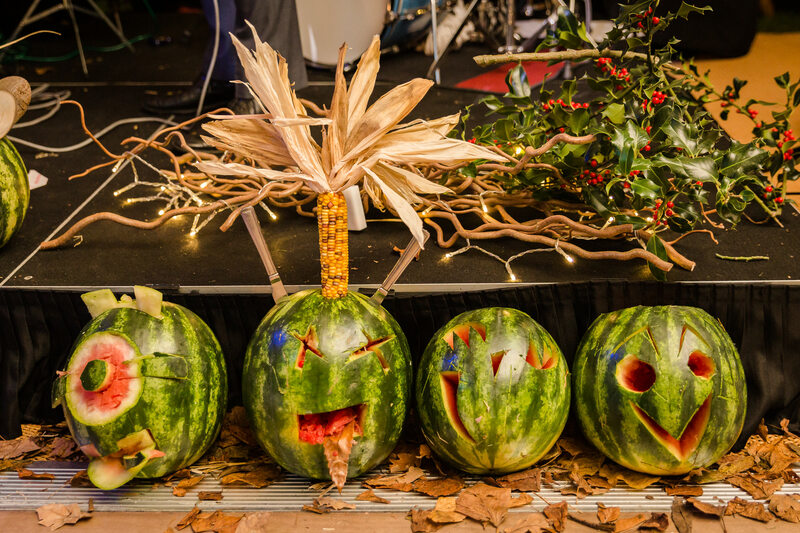 Melons, pumpkins, whatever takes your fancy… And here’s the winner, chosen by the one and only Thomas The Caterer! Seb & Liam and their friends really love karaoke! So having it as part of their entertainment went down a treat! They chose a handful of their most talented and enthusiastic friends to perform and it was incredible. 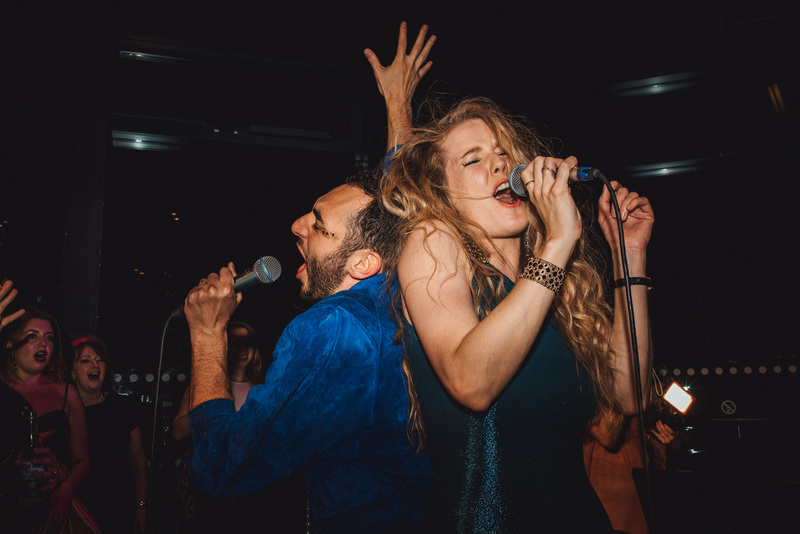 Great songs, OTT performances and a lot of excitement from all of their guests. Clearly the possibilities are endless and you needn’t be restricted to lawn games to entertain the masses. 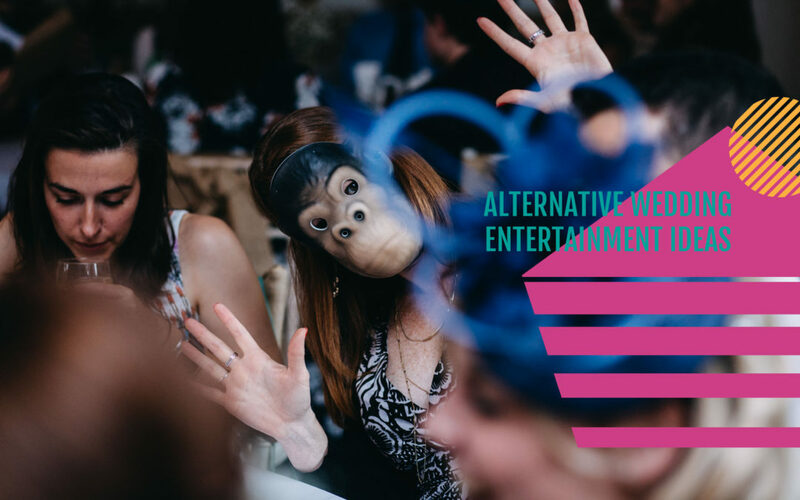 Perhaps you’ve been to wedding with some crazy alternative wedding entertainment? I’d love to hear about your ideas!